Integrated development environments have been designed and engineered to display structural information about the source code of large systems. When a development task lines up with the structure of the system, the tools in these environments do a great job of supporting developers in their work. Unfortunately, many development tasks do not have this characteristic. Instead, they involve changes that are scattered across the source code and various other kinds of artifacts, including bug reports and documentation. Today’s development environments provide little support for working with scattered pieces of a system, and as a result, are not adequately supporting the ways in which developers work on the system. Fortunately, many development tasks do have a structure. This structure emerges from a developer’s actions when changing the system. 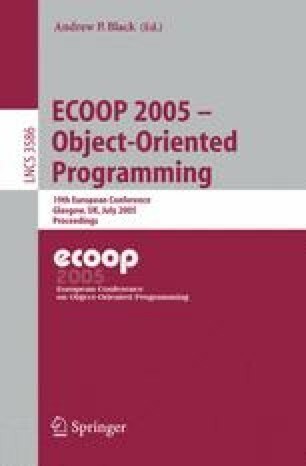 In this paper, we describe how the structure of many tasks crosscuts system artifacts, and how by capturing that structure, we can make it as easy for developers to work on changes scattered across the system’s structure as it is to work on changes that line up with the system’s structure.